An update is headed out for users of Messenger, bringing Reactions for messages, plus Mentions for when you’re inside a group chat. 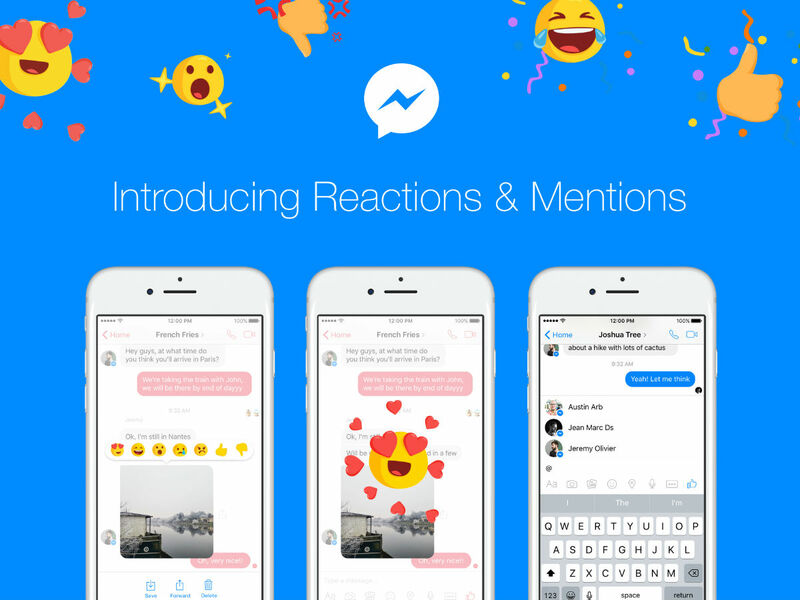 Facebook wants to provide a more fun and useful experience inside Messenger, and with Reactions, that’s what you will get. Once updated, should you or a friend post a picture of something, others can react to the photo with an emoji or thumbs up. For example, if it’s a picture of a cute dog, long press on the photo, then select the “Love” option. The long press function will work on all messages, so reacting is universal. As another example, if someone shares specific dinner plans, you can quickly react with either a “yes” or “no” response. When these reactions go out, a little animation will play, and the sender (or viewer) can click on the emojis to see exactly who liked what and so on and so forth. For Mentions, any time you are in a group conversation, you can now mention a specific person inside that chat using the “@” symbol, followed by their name. This will highlight the message for that particular person, meaning they aren’t likely to miss it in a group chat filled with hundreds of chat bubbles. Facebook states that this update will begin rolling out to all users today.